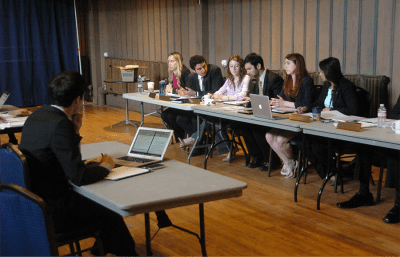 In September, the ASUC Senate passed a bill that would declare no confidence in Napolitano if she failed to meet a list of demands by the third week of October 2013. 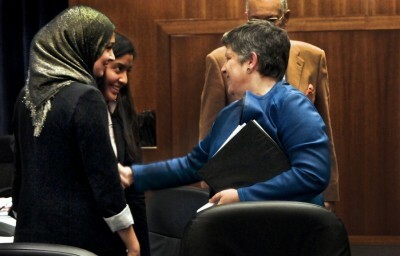 The demands urged Napolitano to take drastic measures to support undocumented students at the university. According to the bill’s author, CalSERVE Senator Sean Tan, Napolitano met three of the bill’s nine demands. He raised concerns that the language of the bill was not strong enough to automatically enact the no-confidence vote, bringing the issue back to the senate chamber. Tan brought the bill before the Judicial Council for counsel about whether the bill required additional action. 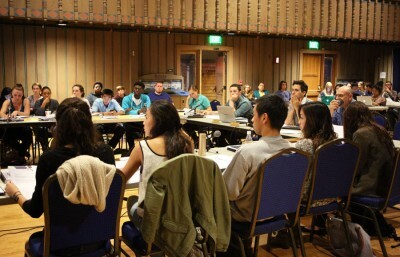 “In consultation with (Tan) and in considering the gravity of expressing no confidence in the President of the University, we decided to request that the Judicial Council issue a formal advisory opinion on the matter to put any debate to rest so that the official position of ASUC is clearly articulated,” said ASUC Attorney General Kevin Sabo in an email. The language of the bill “implicitly binds the ASUC Senate to having expressed a vote of no confidence in UC President Napolitano,” according to the Judicial Council opinion. According to Sabo, this is the first time the Judicial Council has formally met over an issue during this school year. 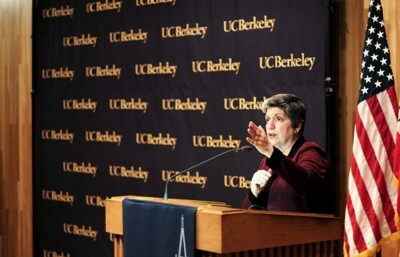 The ASUC is one of four student governments within the UC system that has expressed reservations about Napolitano’s presidency. Even after she announced a number of initiatives for the UC system, including freezing undergraduate tuition and allocating $5 million to services benefiting undocumented students, Tan said he is concerned that the initiatives are not being effectively implemented. SQUELCH! Senator Grant Fineman said that while he believes the senate made an appropriate decision in the vote of no confidence, he hopes that in time, students can build a good relationship with Napolitano and reverse the vote. According to Tan, there is no clause in the bill to reverse the vote of no confidence even if Napolitano now meets its original demands. “Moving forward, I think the conversations (regarding Napolitano) between senators will be about meeting the demands and making sure that Napolitano is held accountable,” Tan said. Jennie Yoon is the lead student government reporter. Contact her at [email protected] and follow her on Twitter @jennieyoon_.